Hey sissy! *hugss* Hope you are having an awesome birthday today! Loves you! Happy belated birthday Sheela! Well I still have two minutes left of Saturday, so not so belated? 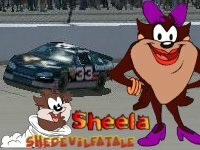 Subject: Re: Happy Birthday Sheela!